Here is the video he posted from Dispatch News. 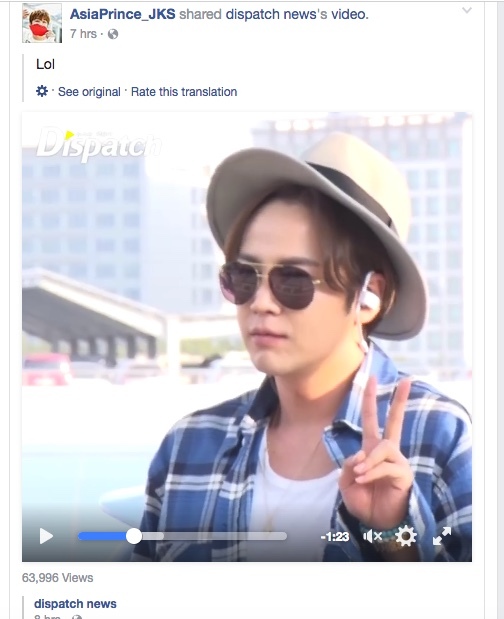 (Dispatch News also uploaded the video to their YouTube channel.) Take a look. The video was taken at Incheon as he was departing for Nagoya to do his final two fan meetings of his 2017 GIFT Fan Meetings.